As we come to the end of the calving season, and face yet another TB test, involving all of our constantly growing herd, the pace of life at the farm seems pretty relentless at the moment. We are also enjoying the benefits of this year’s extended summer, as tractors, trailers, and forage harvester relay in and out of the yard at a terrific rate, we even have the drill close behind in the harvested fields, sowing wheat or stubble turnips for winter cover. There is no sector of the farm where work appears to be easing up at this point in time, and we begin to question whether there ever is a restful time on a dairy farm. Liz has had the sneaking suspicion for some time that the much anticipated quiet time, which always seems to be just around the corner (after this next push), might be the stuff of myth and legends. It may be that some systems, with one tight calving block, reap the benefits of some comparatively quiet seasons, but the promised restful periods seem a little more elusive at Lime End Farm. The endless cycle of serving, calving, rearing and milking, with the added curve balls of TB tests, building projects or milk price crashes, and their associated headaches, doesn’t make for a very measured lifestyle. We can perhaps be forgiven therefore when years often seem to blend into each other in our mind’s eye. Our somewhat vague memories are perhaps made even more understandable by our questionable sleeping routines, which the experts tell us are inextricably linked. 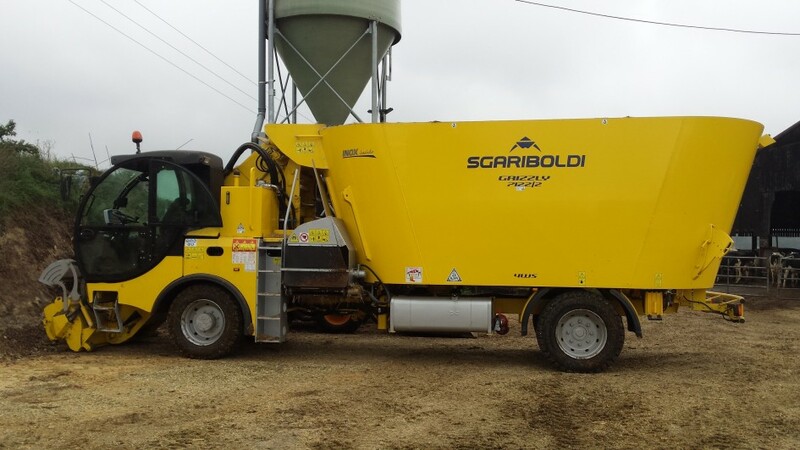 Our new mixer wagon has finally arrived, delivery having been on hold during the Italian summer break, apparently some people have their work/life balance sussed! It has been introduced to hard labour straight away, making six mixes a day – and counting, and we have noticed an increase in intake for the herd, due to its more open mix. By the time we get our bearings after this round of TB testing, and the next milk price announcement from Arla, we will have begun heat detection for next summer. Serving will begin in November, but we plan to catch those not seen bulling in time to sync for serving two days before the start of the block. In the thick of things it can be hard to take the wide view of our current situation, but it is interesting to consider what we will (potentially) remember this year for in the future. In some ways it is an uncertain year, a year of TB testing, of switching to Arla, and of the beginning of our beef-enterprise. Yet, it is also the year of vast improvements to our buildings and facilities, of a bumper maize crop and the year of a much anticipated family wedding. So, as we plough on, and get through this next push, we hope that when we do get a moment to reflect, this year will not look too bad with hindsight. Was reading about the slump in new tractor sales, down 28% this year over last (Feb figure) which obviously will be part due to milk and corn prices. But also thought about our discussion on tractors, their cost, complexity and reliability, and repair problems. I see you’ve gone Italian with the mixer – would really like to see it in action sometime – and wonder if you’ll be going the same way with the tractors, opting for the manual Landini which I gather can be had with a manual 18 – 18 box and mechanical spool valves.